Yes, that’s a El Jobso cheese head. On a party tray. 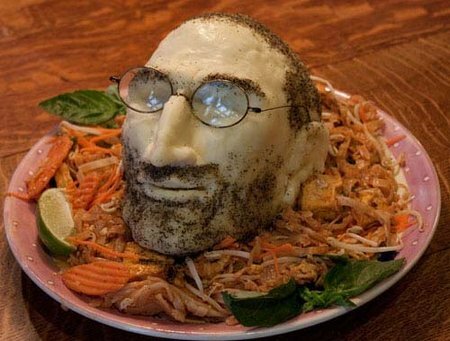 “Try Spicy Steve Nachos, iPad Thai and an Apple Cheese Plate and pay homage to the greatest consumer electronics company of all time.” Click here to see how it was done…if you dare. » And what did the Easter Bunny bring you?